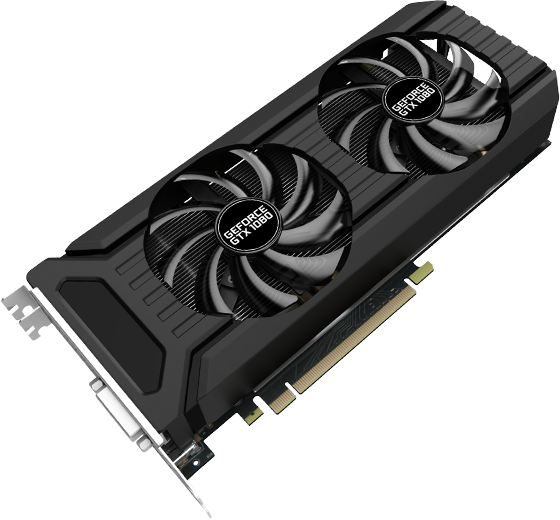 Palit GeForce® 1080 Dual OC is build with "Dual Fan", provides 2 slot thermal solution for SLI users. Take on today's most challenging, graphics-intensive games without missing a beat. Discover unprecedented performance, power efficiency, and gaming experiences—driven by the new NVIDIA Pascal™ architecture. This is the ultimate gaming platform.